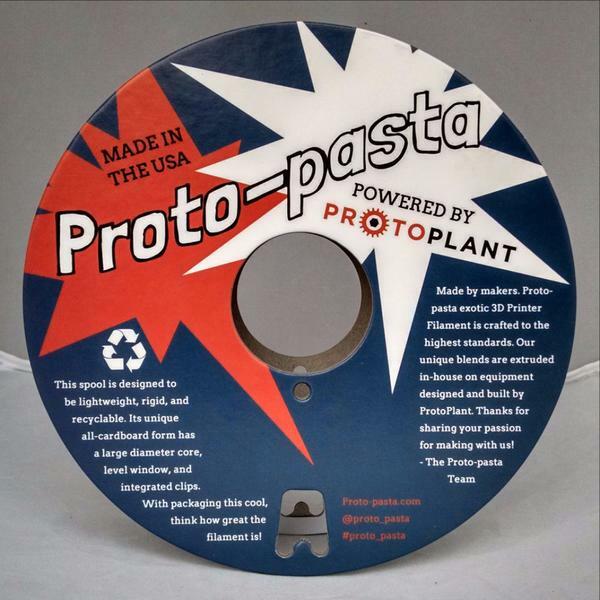 Proto-pasta Polycarbonate-ABS Alloy is an incredibly tough material designed for strong, resilient parts. Properties are excellent and greatly improved over standard ABS. Processing is more challenging. For best results, a heated bed is required to control warpage and improve layer adhesion. Cross-sectional area should be minimized.